Imagine… with 33 years in the travel industry, what the travel designers at Imagine Cruise & Travel can do for you. With a combined 125 years of first-hand knowledge and unique travel experience between the highly motivated team of travel advisors and designers … you are guaranteed special supplier prices from their long time relationship with them; and personal vacations tailor-made to suit you and your wildest desires. Shawn Kilner is the owner/operator of Imagine Cruise & Travel, and is a self-professed travel guru. 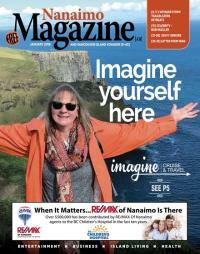 Born in Nanaimo, she had the inspiration to travel from a young age. After graduation, Shawn went travelling, living and working in England, Europe and then Australia, where she remained for 5 years, and drove solo across the Nullarbor Plain. She made her way back to Canada through New Zealand, South East Asia, Korea and Japan. This year, she has travelled to India and Ireland and is off to Mexico, Myanmar and Senegal! With travel in her blood, Shawn qualified as a travel agent, and worked at Marlin Travel for 7 years, where she fell in love with cruising. Shawn has been in the travel industry for 33 years, and has been operating Imagine Cruise & Travel (formerly Cruise Holidays) for most of that time. With at least 6 weeks travelling a year, she specializes in small ship, river and soft adventure cruising and travel, and has explored all continents except the Arctic and Antarctic. So who better to plan and advise on the travel items on your bucket list? She believes that by travelling we create a better understanding and appreciation for the world, and so become better world citizens. Marion Kliment has been in the travel industry for over 35 years. Originally from the Island, she has worked for and managed several travel offices in Vancouver, and at Around the World Travel in Nanaimo for 2 decades while raising her girls. Marion is passionate about forming close relationships with clients. She has helped book weddings and, years later, is booking their anniversaries and other momentous events. A lover of sunshine and warm climates, Marion travels and walks the beautiful beaches of the world with her husband and family. Africa is next on her list, followed by Asia, specifically Cambodia, where her charity of choice sponsors homes for impoverished families. She is well-versed in all types of cruising, having experienced many destinations, ship sizes, and styles from sailing, ocean liners, to river cruises. A detail-oriented person who treats every client’s journey as if it were her own, she looks forward to working with new and existing clients and helping them achieve their lifelong travel dreams. Jan-Evert and Annemari Hermans have an amazing knowledge of Northern Europe with their Scandinavian heritage. Former restaurant owners and caterers, Annemari and her sister, Ingelise, purchased a Cruise Holidays franchise in 1998 in New Westminster. Jan-Evert joined them in 2004 and they moved their agency to Port Coquitlam where they remained until 2012. The Hermans moved to Victoria in 2011 and long-time colleague and friend, Shawn Kilner, asked them to join her as independent travel consultants. Jan and Annemari have visited many European countries on land, by ocean and on river cruises, using most of the major cruise lines. They have organized many group tours from 10–200 guests, the most recent being to the Amazon followed by an Expedition Cruise in the Galapagos Islands. They are passionate about experiencing the cultures, food, wine and people of different regions, and learning about countries and languages. It is an education and their journey continues for as long as they do. Mary Parker has been in the travel industry for 27 years and has always been passionate about the history, geography, architecture and climate of different countries. She started Qualicum Beach Cruise & Travel in the early 90’s, and after she sold it in 1998, she travelled extensively independently and with Rotary International. She met Shawn on a Queen Elizabeth 2 cruise across the Atlantic, and later in Bora Bora, and started with Imagine Cruise & Travel in 2015. Mary specialises in cruises and tours, and jokes that she has been around the world at least 3 times. She loved travelling in Iceland and Russia, and just returned from a coach tour of Eastern Canada. With Imagine Cruise & Travel being an affiliate of Vision Travel, and Virtuoso, the travel designers can offer you everything from family holidays to exclusive itineraries; all-inclusive packages to deluxe vacations… All with the unmatched passion and the experience you want from a travel company.